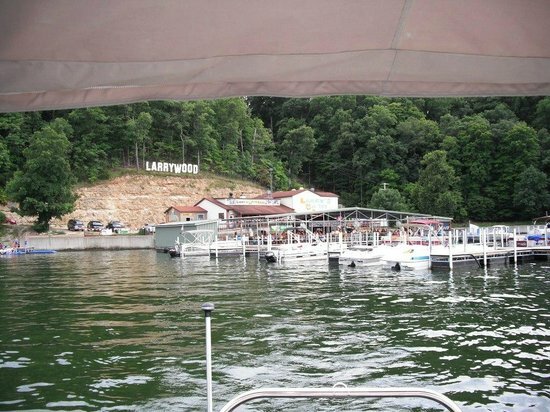 Some dear friends of ours took Peggy and me on a boat ride to Larry’s On The Lake for 25 cent chicken wings. We enjoyed a wonderful evening, but the girls ended in a friendly dispute about the oldest tree on earth. Peggy’s friend said the oldest tree is the Ginkgo, but Peggy knew it was the Bristlecone Pine. It turns out that the Bristlecone is the longest lived tree with many living specimens estimated to be thousands of years old. The Ginkgo, on the other hand, is supposed to have the oldest ancestry. An article on the web asserted that fossils in 270 million year old rock are virtually identical to living Ginkgos. The argument ended in an interesting way with Peggy’s friend explaining that the Ginkgo has clearly been around the longest since its fossils appear in 270 million year old rock. It never occurred to her to question the asserted age of the rock, even confronted with the irrationality of a living thing not changing for 270 million years. It illustrates how indoctrinated people are regarding geological time and millions of years. Rather than wonder how an organism could remain unchanged for millions of years, it is far more logical to flip the entire discussion. How is it that a perfectly modern living thing should be found in a rock that is anything other than a recently formed rock? It is simply more scientific to question the claimed age of the rock. When I tried to steer the discussion in that direction, you could tell our friends weren’t buying it. “Well certainly scientists must know how old the rocks are,” pretty well sums up the response. What most people don’t know is that there is no scientifically rigorous way to directly measure the age of a sedimentary rock and the fossil in it, not even radiometric dating. Ages have been determined by interpreting the evidence, and in most cases the interpretive framework of geology was established over a century ago when geologists were relatively ignorant. Since that time, there have been thousands of anomalous findings like the modern Ginkgo fossilized in 270 million year old rock. A sane person would re-evaluate the age of the fossil based on the evidence, but a true believer in evolutionary theory just forges ahead by rationalizing how the ginkgo has stayed the same in spite of their faith in evolutionary change over time. “Deep time” simply works better for the mainstream belief in evolution, so geologists rarely buck the establishment faith. So-called living fossils, like the Ginkgo tree and the coelacanth fish and many others, are powerful evidence against long geologic ages and millions of years, if you only let the evidence speak for itself. The Bible makes it clear that trees and fishes were created recently, and that some have become extinct while others survive as modern living things. Biblical creationists stand on the evidence. Modern trees are fossilized in recently formed sedimentary rock.